Andreas von Huene strives to create art that comes alive. The artist wants his medium itself to almost breathe life. 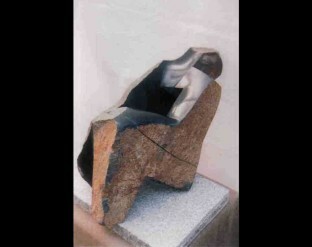 He enjoys challenging himself to create different levels of imagination within each individual work. While he is continuously delighted to find new materials and skills to incorporate into his art practice, it is the wide range of projects and processes that will always serve as his most grand adventure. 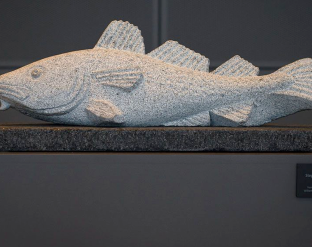 Von Huene’s creative life began in the artistic environment of musicians, musical instrument makers, and the Museum of Fine Arts in Boston, and it has grown and developed through his experience as an engineer and designer and most recently as a stone carver. 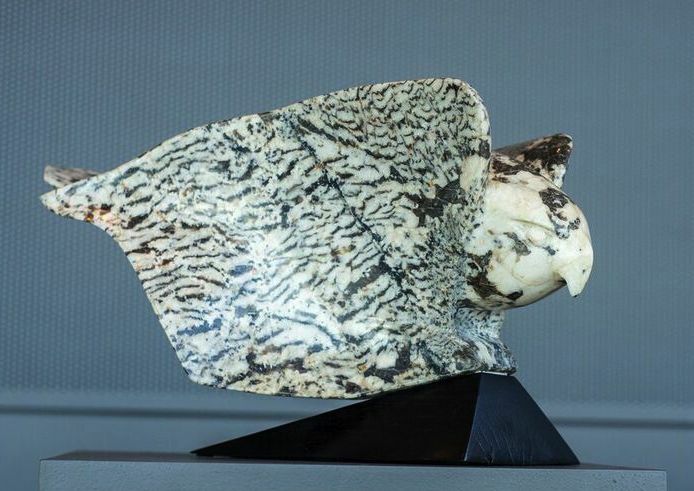 Gyre Falcon is carved from a piece of Feldspar known as “graphic granite” for its wonderful patterning. Von Huene found this particular piece in a quarry in Georgetown, Maine. It is an interesting material to work due to the patterns, sub-patterns, and the types of shapes that the raw material takes. 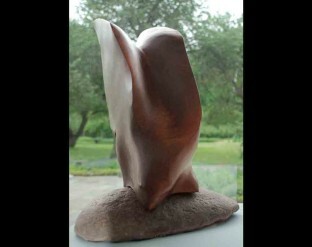 The material is a combination of medium-hard feldspar and hard quartz. This sculpture is one of several generously donated to the City of Portland and the Jetport by William D. and Mary Louise Hamill.